You have found the perfect guy. He is loving, attentive and crazy about you. You never have to doubt that he cares for you, but there is one little problem. For some reason, he never invites you out with his friends. If you are hanging out in a group of people, it is almost always in a group of your own friends or with fellow couples. You have a general idea about who his friends are, but you don’t really know them because he never invites you out. Should you be worried? Before we continue, we should point out that there is a major difference between never inviting you out with friends and never introducing you to his friends or family. If you have been together for a few months and things are getting serious, he should definitely be introducing you to his family and friends. If he does not introduce you to them, then it is most likely because he is unsure about whether you have a future together. If he has introduced you to his family and friends, then he probably sees some type of future for the two of you. He might not invite you along a lot for a number of reasons, but you can at least be fairly sure that he sees some type of potential in the relationship. Now, we will cover the different reasons why he never invites you out with his friends. Look at how he normally spends his time with his friends. If it is for a football game and he knows that you hate football, than don’t be surprised if he does not invite you. He may also assume that you would rather do other things than spend the day playing video games or kicking back with a few beers. If you actually like these things, then let him know. If you don’t like doing the things he generally does with his friends, then it might be a good thing that you are not dragged along. If he has not been in a serious relationship for a while, he is used to being single. He is accustomed to spending the weekends with his friends and going where he wants to. It may have never crossed his mind that you would want to come along or that he should ask you. If this is the case, bring it up with him. Let him know that you are fine if he wants to just hang out with his guy friends, but you would like to come along every once in a while. Yes, your friends love it when your boyfriend comes shopping or to the movies with you. His friends might not be the same way. Adding a girl to a group of guys changes the dynamic. Some of his friends might be comfortable talking about the same things if a lady is in the room. His guy time is a chance for him (and his friends) to unwind. If there are only guys in the group that he is hanging out with, then he might want to keep it that way. This is not a bad thing. When you become infatuated with someone, you spend all of your time together. While this is a normal pattern for early relationships, it is not healthy to keep up for long. You have to have a balanced social life to be happy and healthy. 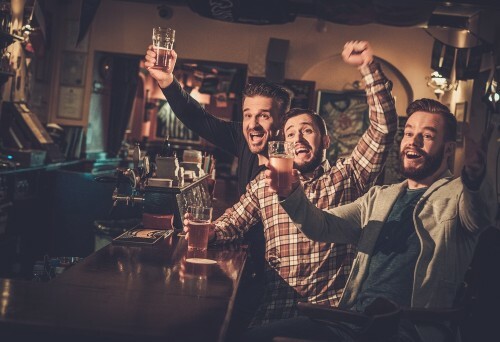 Your boyfriend may just need a bit of time to unwind with the guys and enjoy a healthy social life. Many ladies assume that a guy is embarrassed about them if he never invites them out with friends. In reality, it could be the opposite problem. Most likely, you have had that one high school friend who is still your friend, but you have no clue why. He might be the same way. He is still friends with some guys who have nothing really in common with him other than the friendship. Your boyfriend may be afraid that you will think less of him if you meet and get to know those questionable friends. He may also instinctively feel like you won’t like the friend, so he wants to avoid introducing you to him. Guys are not mind readers. If he is spending the day doing stupid things with his friends, he would never, ever think that you would want to tag along. If you do want to meet his friends, just ask him. Don’t expect to go along every time though because he needs to have a chance to just hang out with his friends. He should give you the same freedom as well. 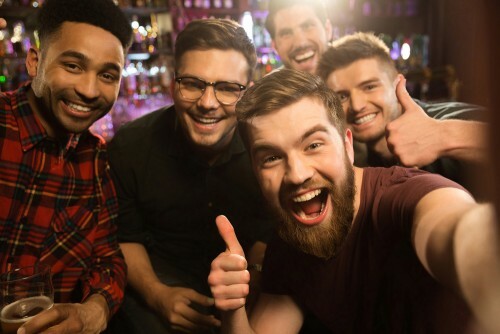 Instead of being worried when he does not invite you out with his friends every week, plan a night where he has a guys’ night and you get a girls’ night. Next articleIs It Normal If Your Boyfriend Never Gets Jealous?